A legacy in a Will is an excellent way of ensuring that something you care about is supported in the future. Gifts made in this way are invaluable to Theatre Royal, and allow you to commemorate the enjoyment you have received here over the years. Whilst most bequests are for general support of the Theatre, gifts can be specified for a particular area of our work, such as education, or maintenance of the building. It is important to consult us about the wording of specific gifts: if the area you wish to support is not properly defined we may be unable to use your bequest. Letting us know if you intend to give to the Theatre will help us plan for the future. If you are considering leaving a gift in your Will, or would like more information, we would be grateful if you could fill in this Legacy form discuss it with Julia Read on 01284 829942 or email julia@theatreroyal.org with any enquiries. Our Legacy leaflets can also be found at Gross & Co in Guildhall Street, Bury St Edmunds. 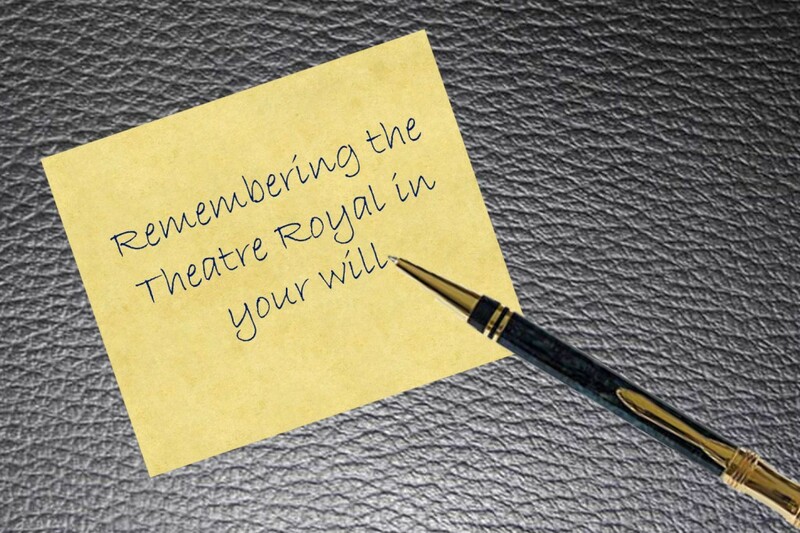 If you do include Theatre Royal in a new Will, or amend your existing Will to include us, you will need to include the Theatre’s registered charity number; 242977.